In any endeavor there are a number of steps to success. The same can be said for opening a new business. The following resources will help you on that journey without any missteps. In it you will find information on where to go and who to talk to about zoning requirements, building codes and inspections, trash collection, taxes and licensing. You will find many of your questions can be answered at the Maysville Municipal Building — 216 Bridge Street. There are a number of departments and agencies all in one place. The Municipal Building houses the Maysville Administrative Offices on the upper level as well as Maysville Fire Department. On the lower level is the Maysville Utility Commission. 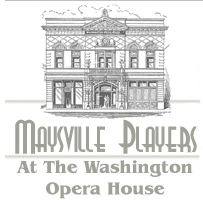 Adjacent to the Municipal Building on Third Street are Maysville-Mason County Chamber of Commerce. The city has instituted zoning regulations to ensure that business activities are conducted in appropriate commercial zones. Zoning regulation also addresses issues such as signage, landscaping, screening of trash dumpsters, and off-street parking. Zoning regulations contain specific requirements for the size and location of all commercial signs. A sign permit is required before any new sign may be installed. Temporary, portable, or signs on public ways or utility poles are prohibited. Distribution or posting of flyers or handbills on vehicles is prohibited. Contact Zoning Administrator George Larger at 606-564-2719 or georgelarger@maysvilleky.net. A building permit is required for all new construction or for additions to, remodeling of, and change of use of existing buildings. Contact Gary Wells at 606-564-2525 or garywells@maysvilleky.net. A building inspection is required every time the occupant of commercial building or space changes. Contact Nicole Brooks or Gary Wells at 606-564-2504. The Maysville Fire Department will inspect commercial buildings annually for fire hazards and to assure that any emergency equipment or appliances are being properly maintained. The fire department may be reached at 606-564-9411. A business license (occupational license) is required of any business operating in the city limits of Maysville. A license must be purchased prior to start of business. Contact Melissa Wood or Asst. Comptroller Karen Cracraft at 606-564-2712 or kcracraft@maysvilleky.net. Businesses are required to withhold 1.95 % local payroll tax from all employees working in the city limits. Taxes are due on a quarterly basis. Contact Melissa Wood 606-564-2710 (melissawood@maysvilleky.net) or Asst. Comptroller Karen Cracraft at 606-564-2718 (kcracraft@maysvilleky.net). Any establishment that serves or sells alcoholic beverages is required to obtain a city license to do so. Applications for a city license must be accompanied by a Kentucky ABC License for the year for which the license is being applied and appropriate payment. Contact City Clerk Lisa Dunbar at 606-564-2718 or lrdunbar@maysvilleky.net. The owner or occupant of any property is responsible for maintenance and repair of sidewalks adjacent to their property, including removal of weeds, litter, snow and ice. Contact Maysville Police Department for registration of and guidelines on the installation of fire and security alarm systems — 606-564-9411. Businesses in the downtown may be eligible for façade grants and/or tax credits for capital improvements to their property. Contact Main Street Manager Caroline Reece at 606-563-2596 ext. 104 or carolinereece@maysvilleky.net. Contact the Kentucky Alcoholic Beverage Control at abc.ky.gov or 502-564-4850. Obtain a Federal Tax I.D. Number from the Internal Revenue Service. For information on Registering a New Business & Kentucky State Taxes visit revenue.ky.gov/business. For information on Mason County regulations, call the Judge-Executive’s office at: 606-564-6706.